When you have a baby, you expect that raising them will bring some ups and downs. But for Laura Joliffe and her husband Graham, life with their daughter Ava has been a rollercoaster since she inexplicably began to regress in her development when she was a toddler. However, as part of our 2015 rare disease series, Laura has written for SNJ about their story of a long search for answers and a diagnosis. Our beautiful daughter Ava was born at home on the 1st August 2006. Although born a little early, she was healthy, happy and thrived. She hit all her milestones, and was coming along in leaps and bounds. In August 2008 when Ava had just turned 2 we moved to Germany on secondment with my husbands company. Ava continued to do well, joining Kindergarten and then Pre-school where she made friends easily and was learning well. However during the of summer 2009, after a weekend of high temperatures and illness, we noticed changes in Ava. Her development slowed, her speech became less clear, she no longer answered when called, her vision seemed to be less focused and she began to fall, frequently. Something was just not right. I took her to the doctor, an audiologist, and then to a paediatrician. They all said she was fine, I was apparently being an over anxious mother, but I know my child and I was uneasy. Ava as you can imagine, became frustrated and upset by the changes happening to her. She was over-emotional, scared and aggressive in equal measures; life was exhausting. Then at the end of November 2009 came a more permanent irrefutable change. Ava's eyes began to oscillate and shake. We were petrified and Ava was rushed to hospital. Finally someone was listening to us, but this was not how we wanted to be heard. They suspected Ava had a brain tumour, Neuroblastoma, and she spent the next two weeks in the Kinder-Klinik (we were still living in Germany) undergoing a barrage of testing. We were allowed home for Christmas, but we could not relax, not for a minute. We took it in turns to ensure she was watched every minute of every day and night. We were gripped by fear, scared of losing someone so precious. Little did we know this was to be the beginning of a very long quest to get a correct diagnosis for our little angel. She was misdiagnosed and incorrectly treated for diseases she did not have - Opsoclonus Myoclonus, Lyme Disease, Mitochondrial disease to mention but a few. Over three long years, we made so many phone calls, sent so many emails and did so much research and still nothing. 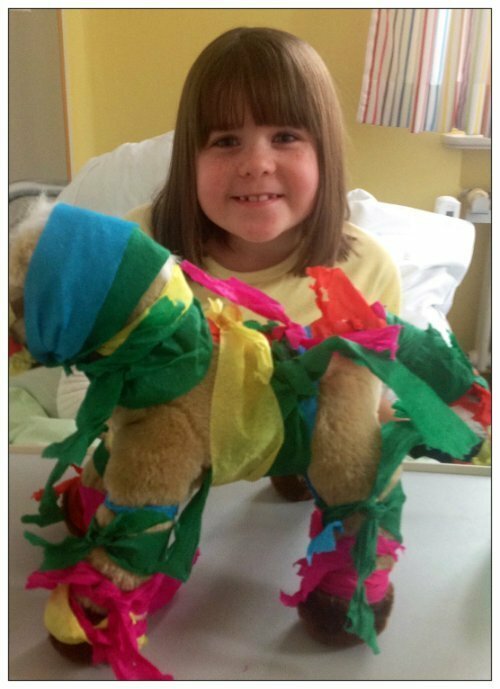 We travelled all over Europe to conferences, to see specialists and even visited healers to try to halt the progression of her mystery illness. We were so close to losing her; by now she had no energy, the beginnings of respiratory failure, her body was shutting down and she was so frustrated, at times impossible to deal with and extremely aggressive. Then Dr T Haack at the Helmholtz centre suggested Whole Genome Sequencing, as he put it, it was the Holy Grail of testing, it was expensive, but Ava's only hope. We all submitted our blood samples and then the excruciating wait began. Brown-Vialetto-Van-Laere syndrome. Our elation at finding a name for Ava's nemesis soon turned to fear when we heard it was a Neurodegenerative disorder with a 70% mortality rate, and those who survived were left severely disabled. This disorder was so super-rare it had never been considered, there had only been 74 cases previously worldwide in 100 years and with no known cases in Germany. The specialists had to reach out worldwide to anyone with experience. The genetic defect was relatively new, having only being discovered in the November before Ava's result. She was such a lucky girl to have it identified and now she was about to be blessed, as there was a new virtually untrialled treatment which had been recognised. The doctors quickly prescribed large doses of Riboflavin (vitamin B2). The chemist's questioned and struggled to believe the high dosages being prescribed and then again, to locate such large quantities of medical grade Riboflavin. They then faced the challenge of how to make it palatable, stable and deliverable. Amazingly, they overcame the obstacles and we started Ava on the treatment as soon as we could. Over a periods of months, Ava's decline slowed, and then we saw an improvement for the first time in three and a half years. Her facial palsy eased, her breathing became better, she slept better at night and she regained some lower arm strength. Now in February 2015, Ava suffers from multiple disabilities and need 24 hour care. Despite using two digital hearing aids, she is profoundly deaf and cut off from the hearing world. We are currently looking at the possibility of a Cochlear Implant. But with so few cases there is little evidence to go on as to whether it would be successful or not. She is certified blind having Optic Atrophy, Nystagmus and no peripheral vision. She cannot stand or walk without assistance and relies on a carer propelled wheelchair outside of the home and mobility aids within. She has lost her upper arm strength, so is unable to feed herself. This also makes it very difficult to co-ordinate her arms or to draw and play. However, Ava is a tenacious young lady, and astounds us daily with her attitude to her disabilities. She is funny, feisty and bright. She still has episodes of anger and being over-emotional. But she has matured so much over the last 12 months and we see constant improvements in her self-control. Since we returned to the UK in 2013, she is coming on in leaps and bounds in her wonderful school and her sign language within the confines of her disabilities is much improved. We continue to fight for her rights, and look for new and innovative ways to give her the quality of life she so richly deserves. 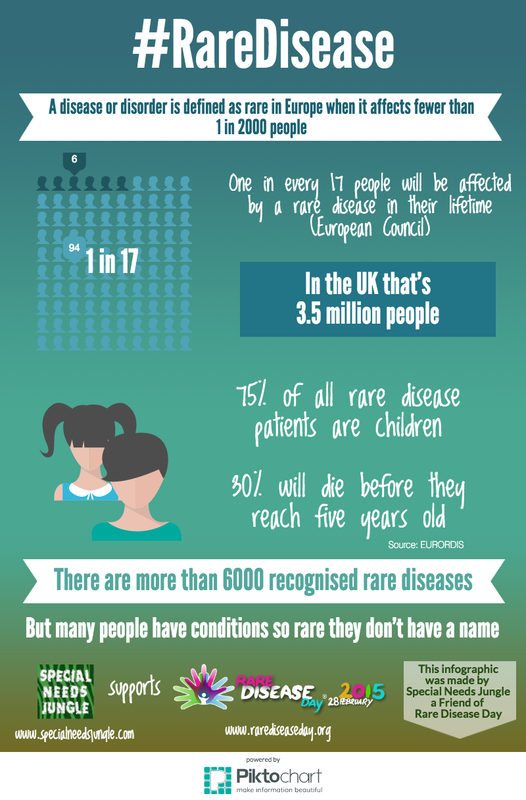 Information about the UK Strategy for Rare Diseases and how it will be implemented.